The second release in our Whiskey Discourse series, Smoked Whiskey, presents a “conversation” between the peated smokey notes of a beautiful highland scotch and our sweet, house-smoked American whiskey. 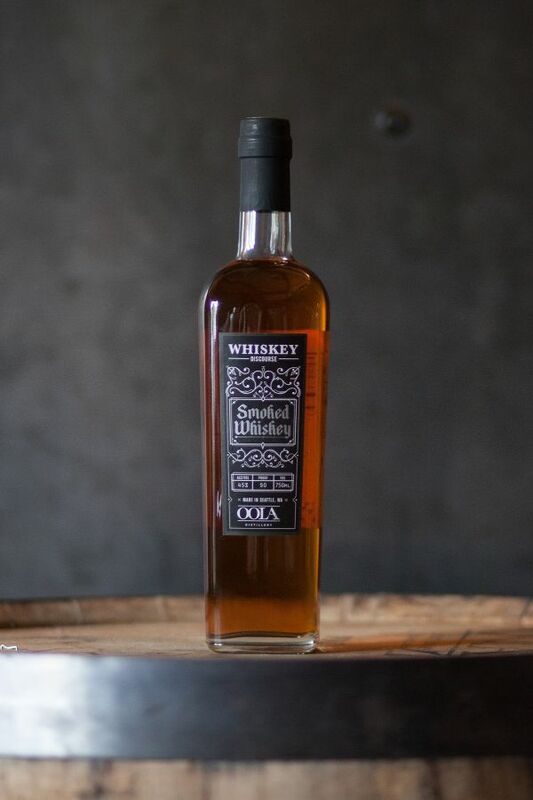 This whiskey starts off with a mash bill similar to OOLA’s signature Waitsburg Bourbon mash bill containing corn, rye, malted barley and wheat. The barley in our whiskey is smoked with apple wood and cherry wood along with our own Bourbon barrel staves. Distiller's Tasting Notes: “Deep, rich nose with mostly sweet, fruit elements and just a hint of smoke. On first taste, smoke is present, but the focus on your palate quickly becomes a delicious sweet and ripe stone fruit (think plum, peach & apricot) – very smooth and rich with no burn or bite at 90 proof. Whiskey Discourse Smoked Whiskey’s lingering finish creates a subtle conversation between peated and sweet smoke.